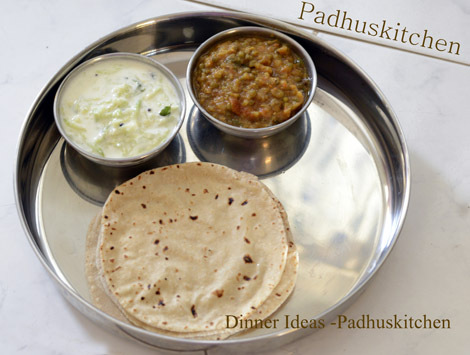 Are you wondering what side dish to prepare for chapati, roti and parathas, here you will find more than 100 side dishes for chapati, roti and pooris both gravy and dry version (South Indian and North Indian Recipes). Paneer Kofta (easy recipe) New !! Paneer tikka masala Gravy New! Gobi Masala (Restaurant style recipe) New! 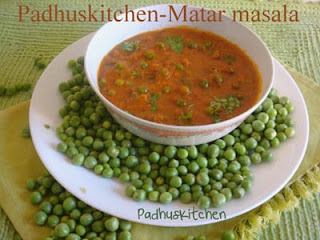 Mattar Paneer (step wise pictures for beginners) New!! Baby Bitter gourd fry New!! Cabbage Curry with Channa dal (South Indian Style) New! Broad beans curry-Avarakkai curry New! If you do not have time in the morning to prepare any of the above dishes, then you can prepare these chutney also for chapati. Check out compilation of all Paneer Recipes and Simple Curry Recipes. This page will be updated as and when side dish recipes for chapati and roti are posted.Hope you enjoyed browsing my site. Thank you for visiting Padhuskitchen.If you found this post useful, I would really love it if you pin it or share it with your Facebook fans or Twitter followers or Google+ circles today. All it takes is a simple click on the “pin it” “like,” “share,” “tweet,” or Google+ buttons below the post. It will keep me motivated. Thank you! 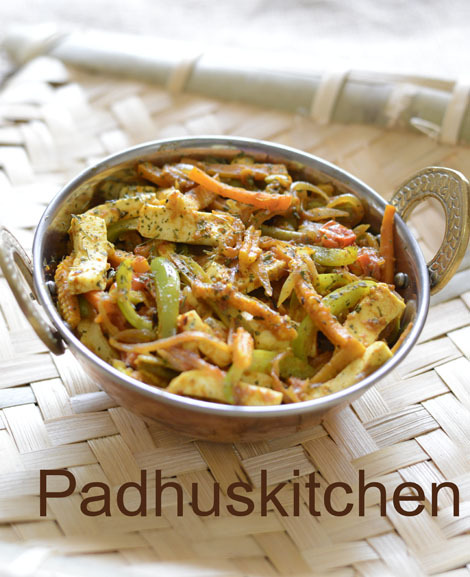 Padhu, you have a big collection of side dishes. Nice putting them here in a list...good idea. marvellous collection padhu...i like potato curry n cauliflower curry more..
very interesting dishes. i want to try all dishes. Such a great work Padhu! Keep it up! Wonderful!!! Thank you very much.... I was kinda getting bored of just cauliflower, potatoes and ladiesfinger... Now there is a huge variety! Love your blog. Thank you for inspiring us to cook creatively. Hey..pls share that tip wid me too.. I never get my rotis lik balloons..
Wow ms.padu its really awesome, It s really helpfull for people like me who r new to northindian style of cooking.. Good job keep it up. i am a married girl. daily i will do a variety of side dish for chapathi from your blog. my mama and athai will praise me for my cooking. also my husband will give lot kiss for my cooking. this all because of u. thanks a lot padhu. thank u so much. all the best for ur future . continue this work . surely, this will help to all the girls like me .bye padhu !!!!!!!!!!!!! I saw your green peas recipe.Its really simple and good. Hi.. I love ur blog..I like trying ur recipes.. I trust ur blog recipes more than any other recipe blogs :).. I also love the way u have got d organised list of recipes.. Thank u n keep up d good work.. Choose a dry sabji without fresh coconut and without vegetables with water content like radish, pumpkin etc. You can make tomato thokku (with more oil) for chapati. It will last long. I was so excited to see the wealth of recipes in your website. But it is really hard for me to check these in computer all the time.Do you have all these recipes in book format or do you have them in PDF so that I can make copies and file them? I always wanted to make Hakka Noodles. Luckily I found your post. Your blog has been constructed so well. Easy to understand! Clear! with steps pictures. Great! Good Job. Thanks. It will be a reference for my dinner . Can you post horse gram gravy for chapathi?